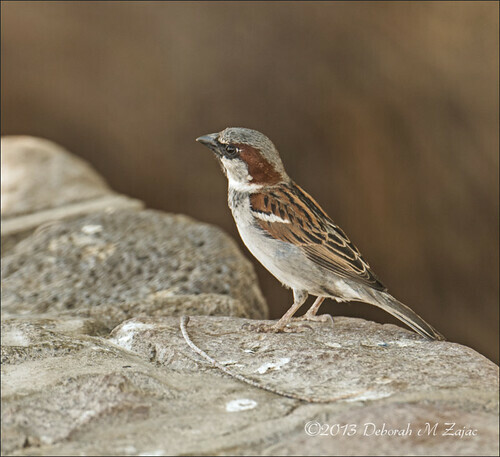 House Sparrow, originally uploaded by CircadianReflections Photography. I hand-held the 80-400mm G lens a good deal while in Death Valley. I set up my tripod for landscape photography, but not for the birds. I confess I don’t have many keepers from the Hand-held shots. The extra length, and weight really gives me away. I have weak hand-holding technique with the long lenses. With time and practice I’m sure I would improve, but really I think shooting from my tripod or monopod with the SideKick would net me the best photos and most keepers. A quick note about this male. He’s the only one I saw and he had 3 or 4 females around him all the time. I notice Finches are the same. Do they have harems?